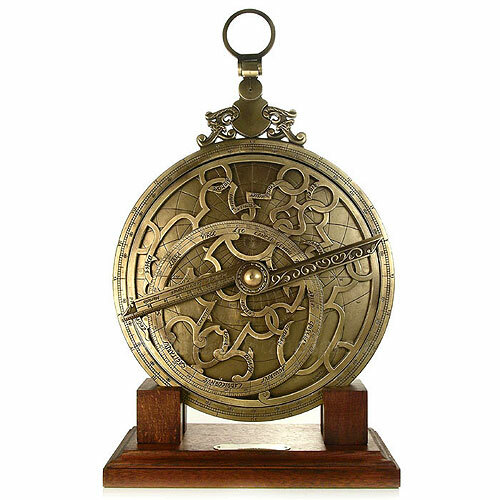 Reproduction of an astrolabe realized by Arsenius in 1602. An original specimen of this astrolabe is carefully guarded in the Museum of the History of Science in Oxford. 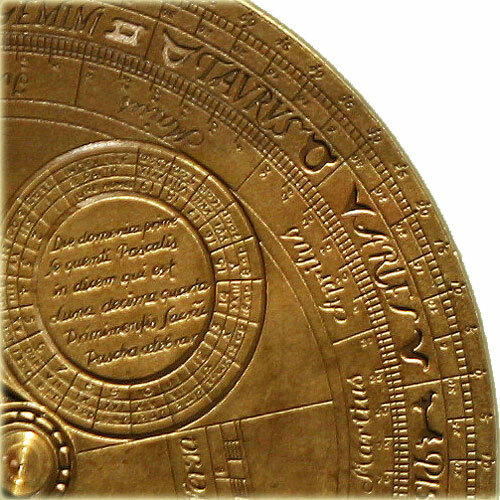 The sky map of this astrolabe has been updated from the one of the 16th century. 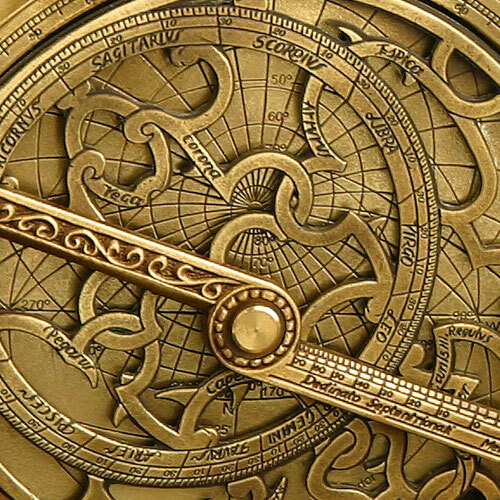 Attention to detail, historical interest, beauty of forms characterize this very fine Astrolabe, shipped complete with a hardwood display stand and a user guide ( ). N.B. : This is the replica astrolabe used in the TED video presentation from Tom Wujec. Average of 4,2 based on 50 reviews. Presentation box was a nice surprise. The astrolabe was lovely at first sight. On further inspection I noticed the rete is a little warped relative to the madre edge - it stands just above the surface of the madre - and even every where else. The trono hinge joint seems too loose - the pins feels like its already worn - but maybe thats my misunderstanding. The instruction booklet is useless - that is to small to read and the pictures are too small to read. The instruction booklet could have been more explicit in the use and understanding of the astrolabe - and position of stars there in. This spoils an otherwise great astrolabe. The Astrolbe is truly an exceptional replica, very happy. 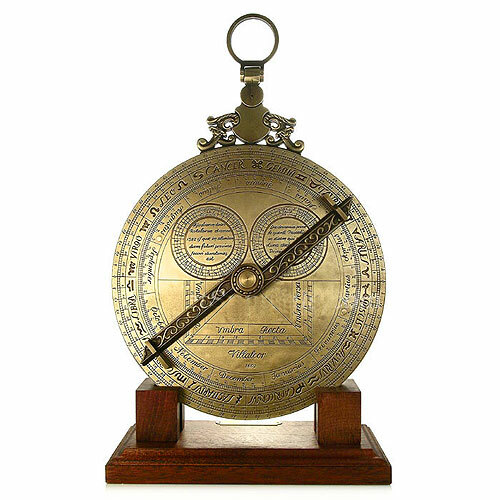 The astrolabe we ordered (the Ancient Astrolabe) is now on display in our exhibit space. What a beautiful piece- one we will use and treasure for many years. Very sturdy and easy to handle. An excellent learning tool for adults and children alike. View the 11 last reviews of the A206.